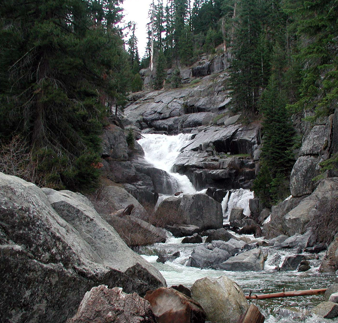 This project evaluated the restoration of Bear Creek, immediately upstream of the Fall River, in Modoc County, California. Approximately two miles of degraded meadow creek was restored five years ago by a private landowner. This assessment reconstructed changes in the hydrologic balance associated with the restoration and the response of riparian and wetland plant communities to changes in groundwater conditions. Hydraulic modeling was conducted to evaluate and predict the geomorphic response of the designed restoration channel and to identify elements of the design which promote channel stability. This work was conducted by Christopher Hammersmark, a Ph.D. candidate in Hydrologic Sciences.